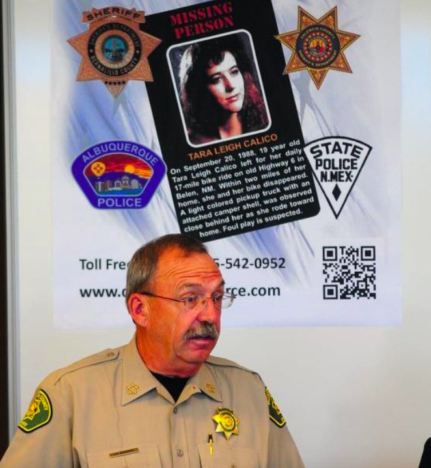 On the morning of 20 September 1998, 19-year-old Tara Leigh Calico headed out on a pink Huffy bike for a ride along New Mexico State Road 47. There was nothing at all unusual about this plan. Tara, from Belen, New Mexico, took the same route nearly every morning, sometimes accompanied by her mother, Patty Doel, and sometimes alone. Patty had reportedly become anxious about the bike rides after she felt a motorist had been repeatedly following her. She had previously warned her teenage daughter to consider carrying mace with her. Tara had a tennis date planned with her boyfriend at 12:30 pm that very afternoon, and had stated her plans to come home to get ready. She had told Patty to come and find her if she hadn’t returned by noon. Tara never came home, and when Patty headed out to find her daughter, there was no trace of Tara or her bike. Tara was known to be a highly efficient, organised person and this was very out of character. Helped by well-meaning neighbours, police searched for signs of Tara, and came to the conclusion she had been abducted. Some witnesses spoke of seeing Tara that morning, and a couple of people had noticed a lightly coloured pickup truck apparently following the teenager without her knowledge. Fragments of her shattered Boston cassette were found shattered by the side of the road, and pieces of her Sony Walkman was discovered nineteen miles east of Highway 47, close to a remote campground. Patty reportedly believed Tara had deliberately dropped these pieces so she could be tracked. Like far too many missing person’s cases, the trail appeared to go cold, and a devastated Patty was left to wonder what had happened to her promising young daughter. However, one year after Tara’s disappearance, a disturbing polaroid emerged which would shake up the entire investigation. The photograph in question was found in a Florida parking lot 1,600 miles away from where Tara vanished, by a woman who had been out grocery shopping. It showed a young woman and a young boy, their mouths covered with duct tape and their hands bound behind their backs. They appeared to be lying on a bed in the back of some sort of van. The young woman bore more than a striking resemblance to Tara. Patty herself believed she shared many of the same features as her daughter, including the same scar on her leg. The book beside the young woman – My Sweet Audrina by V.C. Andrews – was known to be one of Tara’s favourites. •89, Polaroid matching Calico found. Unknown boy. According to Polaroid officials, the polaroid had been taken after May 1989 due to the availability of the particular type of film. After analysis, Scotland Yard concluded Tara was the woman in the polaroid. However, the Los Alamos National Laboratory disagreed. The FBI ruled the evidence was inconclusive. The boy in the photograph was thought by some to resemble Michael Henley, a child who had gone missing the previous April. Tragically, Michael’s remains were later discovered in the Zuni Mountains, and it is believed he died of exposure after wandering off. Tara’s remains have never been found, and in 2013 a six-person task force was formed to reopen the investigation. Many of Tara’s family members still hold out hope she is still alive. According to People, law enforcement sources have said Tara could have been taken by someone whom she knew. This possibility is reportedly endorsed by chief investigator Sgt. Joseph Rowland and former Valencia County Sheriff Rene Rivera. Rivera believes Tara may have been killed by at least two local teenage boys who acted alongside two accomplices. Rivera told People how one theory is she was attacked by these boys who had been riding together in a pickup truck. 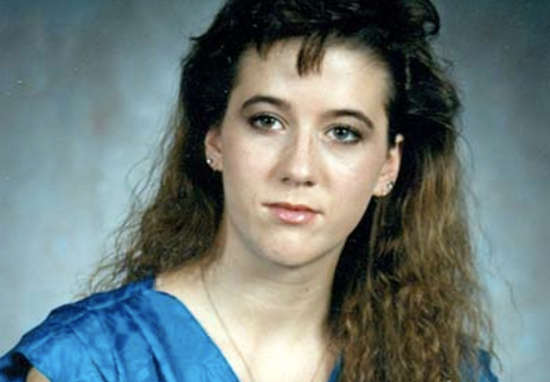 Tara’s high school friend Melinda Esquibel is now hosting the true crime podcast, Vanished: The Tara Calico Investigation. Hopefully this disturbing mystery will one day be solved for Tara and her family’s sake.